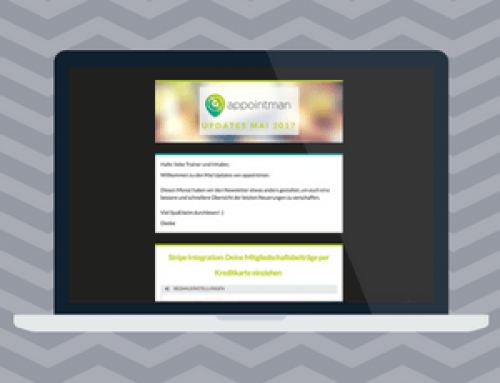 July 2017 appointman product updates - What's new? 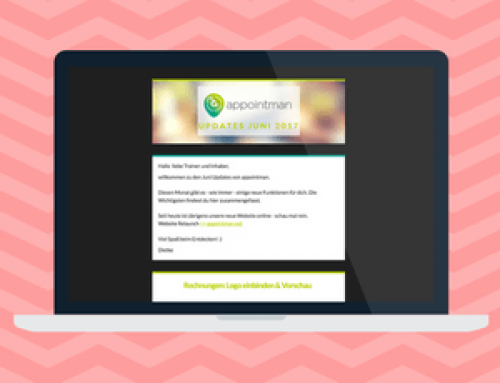 Welcome to the appointman updates from July. 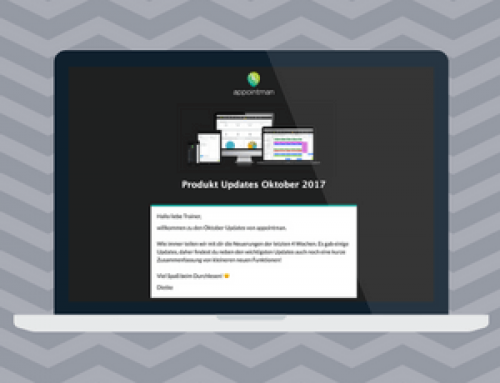 This month we also included a survey in the newsletter in addition to the new features. We are looking forward to hear about your thoughts and ideas. We added a new feature to the appointman Add-Ons called “Booking value can be adjusted”. After activating this feature you will be able to define the costs of a class. For example a class that is longer than usual can have a cost of 2 bookings. The setting can be found under “Booking counts” in the class you created. This value will have an effect on “Amount of class bookings”. However, the settings for “Max. Classes per day” or “Max. Bookings in future” will not be affected. If you not only offer trial days, but also trial weeks or a trial month it is best to offer those in the appointman online Shop. Here you can add the usual limitations to your class pass you want to offer as a trial pass and in addition you will need to set the option “Trial pass“. This way the system knows that this pass is a trial pass and it will be shown in red in your participants list as well as in your member’s contract. To make sure that the trial pass can not be purchased more than once we suggest that you also set the “May be purchased by the customer only once” option. To make sure that the validity of your class passes you sell online starts with the first booking you have the option to adjust the appropriate setting directly at the products in your online shop. In your shop overview you simply click on your class pass and set the option for “Validity starts with the first booking”. 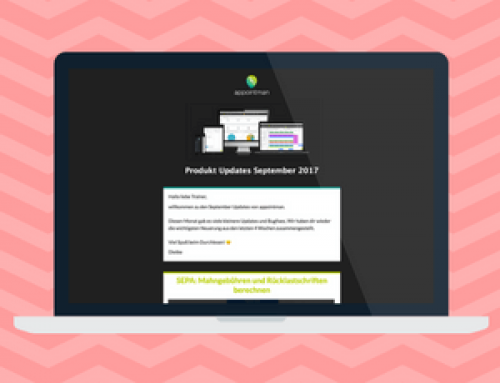 Statistics on dashboard: There is a new statistic on the dashboard that will show you “New Customers This Month”. Contract statistics visible: Here you will be able to see the same contract statistics your member can see online. Future bookings for employees: Future bookings can be seen in your employee details and are visible in the “Future appointments” tab. Appointments visible in your leads list: Class bookings and appointments for your lead are listed under “Bookings” in your lead overview.